47x47mm. Rhinestones are 4mm each in prong set settings that are attached to each other with thread. The occasional corner may be misaligned, like the top corner in photo. The settings are silver plated and may have some tarnish, which can be easily polished off. New old stock. 47x47mm. Rhinestones are 4mm each in prong set settings that are attached to each other with thread. The occasional corner may be misaligned, like the top corner in photo. The settings are silver plated and may have some tarnish, which can be easily polished off. 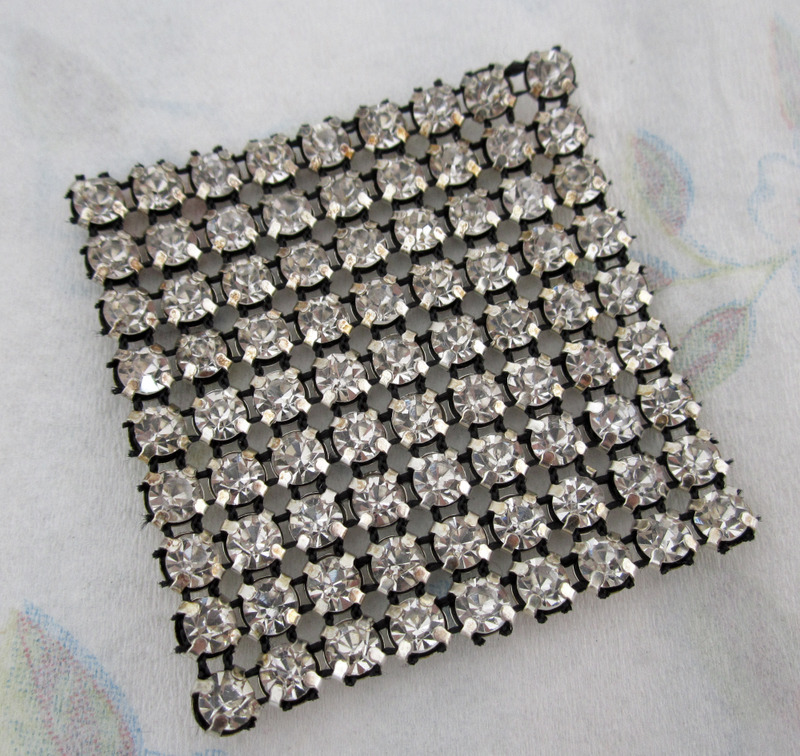 Prong set rhinestone fabric square. New old stock.